SHENZHEN, China, August 14, 2017 – Huntkey, a global leading provider of power solutions, has launched its new German standard SGA series power strips in August, 2017. 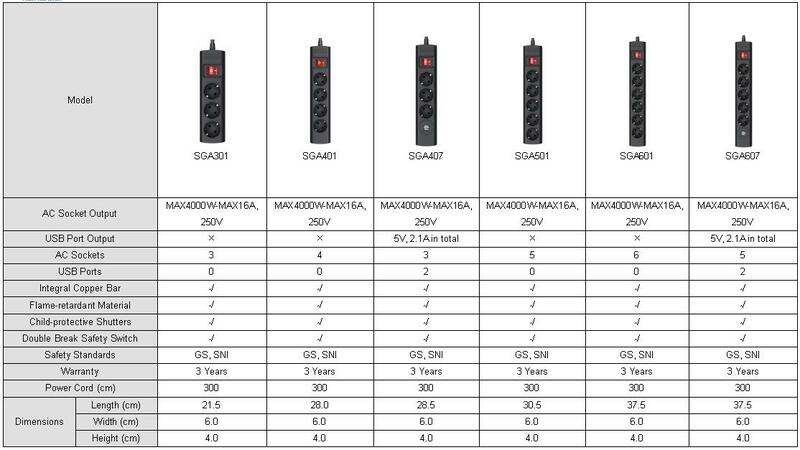 The SGA series includes 6 models from the basic version (SGA301, SGA401, SGA501 and SGA601) to the functional version (SGA407, SGA607). Mobile electronic devices have become part of our lives. For this reason, the charging demand is increasing rapidly. 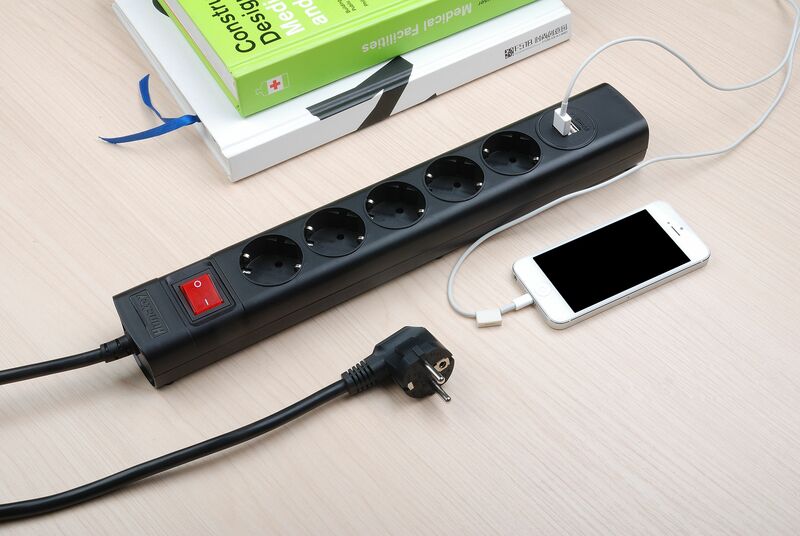 In order to meet growing demands from international markets, besides American standard, Australian standard and UK standard, Huntkey has updated German standard this year – the new generation of power strips with USB charging ports (the output is 5V 2.1A). Huntkey is popular among the global customers with its renowned brand, high quality and attractive ID design. For safety’s sake, Huntkey power strips are equipped with child-protective shutters. These shutters like a strong protective layer that can not only stop small objects from getting inside the power strips, but also help keeping the children safe from electrical shocks. Huntkey power strips are made of flame-retardant material, which is able to withstand high heat and temperatures. There is no deformation at 100℃ and even without flames at 750℃. Huntkey power strips adopt integral copper bar design, which enhanced the conduction ability. It can also improve the elasticity of switch, providing a better experience for the customers when using it. Last but not least, with this design, electricity bills are lower as a result of improved energy efficiency. Huntkey power strips are equipped with double break safety switch, which can be used to control the AC sockets and protect the users. With Huntkey USB charging power strip, users don’t need to buy extra chargers but can enjoy the same charging time and tidy charging space. Huntkey can provide customers with the best service and 3-year warranty for the power strips. Please contact local Huntkey retail stores for further information.